As with any other book, the Bible's character reflects the character of its author. As we have already explained in Finding Your Way Around the Bible, the Bible is not really a single book, but a collection of books. Humanly speaking, they were written by some 40 people, in 3 languages (Hebrew, Aramaic and Greek), over a period of some 1,400 years. 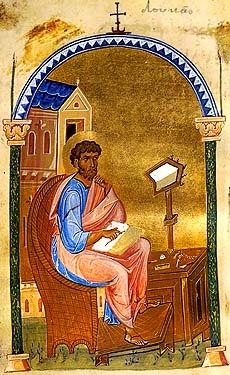 But, although it may have many Writers, the Bible tells us that it has only one Author, God himself, who determined what was written in a unique way. We may call this God's part in the process of writing the Bible. or, more literally, it is God-breathed (2 Timothy 3:16 (NIV)). Above all, you must understand that no prophecy of Scripture came about by the prophet's own interpretation. For prophecy never had its origin in the will of man, but men spoke from God as they were carried along by the Holy Spirit (2 Peter 1:20-21 (NIV)). At this point we need to repeat something we said in introducing The Bible's Claims. As a general principle, what is said about any part of the Scriptures may be applied to the whole. So, what Peter says here about prophecy is equally true of every book of the Bible, irrespective of the subject it deals with or the type of writing it contains. That is why his statement is so important. Instead of carried along by, other English translations of the Bible use terms such as borne along by, moved by, moved and impelled by, or under the power of or under the control of the Holy Spirit to describe how the prophets were inspired to convey their messages. But, however they describe it, they all testify to a mysterious and unrepeatable process which we cannot adequately express in purely natural terms. Perhaps the nearest we can come to it is how we feel when an idea or activity so grips us that nothing else can enter our mind until we have dealt with it - we are so wrapped up in the thing that we can say it carries us along with it. Does this mean that the people who wrote the Bible wrote in an hypnotic, or trance-like, state? Not at all. Some prophecy does give the impression of being completely spontaneous, as in 2 Chronicles 15:1-8, where God's Spirit inspires Azariah to address King Asa on the spur of the moment. Again, Jesus promised his disciples that when they were brought up before the courts on account of their faith in him, they were not to worry about what they should say because they would be given the words to say by the Holy Spirit just when they needed them (see Matthew 10:19-20, and the parallel passages in Mark 13:11 and Luke 12:11-12). 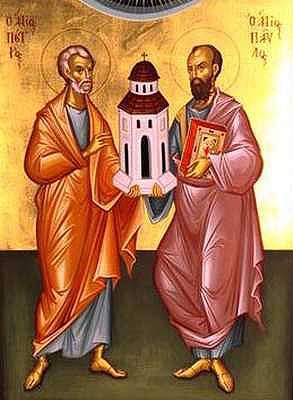 In their reply to the Sanhedrin's questions the apostles Peter and John offer a remarkable example of how Jesus' promise was very soon fulfilled, much to the amazement of their hearers (see Acts 4:5-13). If inspiration is God's part in the process, we may describe compilation as the human contribution to the writing of Scripture. Spontaneous inspiration is not the only way God breathes-out his Word, and carries the writers of Scripture along by his Spirit. The first five books of the Old Testament (the Law or Pentateuch, written by Moses) show every sign of careful compilation, as do the historical books (Joshua to Esther). In the Poetry section, Psalm 119 (NIV) is a elaborate acrostic poem, based on the Hebrew alphabet, each line of a stanza beginning with the same letter. Likewise, as the Writer of Ecclesiates (the Teacher - traditionally thought to be King Solomon) records, the collection we know as the Book of Proverbs is no hapazard or hastily written compilation, but the result of careful and diligent effort under the direction of the one Shepherd (Ecclesiastes 12:9-11 (NIV)). Most honourable Theophilus: Many people have written accounts about the events that took place among us. They used as their source material the reports circulating among us from the early disciples and other eyewitnesses of what God has done in fulfilment of his promises. Having carefully investigated all of these accounts from the beginning, I have decided to write a careful summary for you, to reassure you of the truth of all you were taught. Again, the apostle Paul's letter to the church at Rome, perhaps more than any of his other letters, has a most carefully developed logical flow throughout its first eleven chapters, which could have come about only as the result of prolonged and careful thought. Whatever they may have experienced inwardly - and this is something we shall never know until we can ask them in Heaven - we may be certain that the Writers of Scripture were in full command of their faculties as they wrote. Yet, at the same time God was in full command of them, so that what they wrote, although it was expressed in the writers' own style, thought forms, and language - and therefore bears the marks of the time and culture in which they wrote - nevertheless conveyed exactly what God wanted to say. Because of this, the Bible transcends all time and cultures; it's message is eternal and universal. In addition to the processes of inspiration and compiliation by which the original manuscripts were created, the Scriptures have come down to us as the result of a lengthy and complex three-fold process throughout which God has been intimately involved. God has miraculously preserved his Word, so that, apart from being in a different language, the Bible we read today is in all important respects unchanged from what the original writers wrote, and therefore accurately conveys God's Word to us. Possibly the best definition of the Bible we can offer is that it is the Word of God perfectly expressed in the words of men. How this came to be is nothing short of a miracle! But it shows how, in his written Word, just as in the incarnation of his Living Word, our Lord Jesus Christ, God has graciously accommodated himself to our limited human comprehension, by giving us a revelation of his nature, purposes and requirements in a form we can read and understand today. The way in which God brought the Scriptures into being is one very good reason why we may have absolute Confidence in the Word. It leads us on to consider the witness of the men themselves who wrote (or dictated) as God inspired them.